A regular question from our readers is how coaches scout their opponents in the Ligue Féminine 2. Most of the clubs record their matches and some of the coaches share their tapes. However most of the coaches tend to work from memory and work with the statistics. Due to the fact nothing has changed in the table standings at the top, this week's report is based on our thoughts on what some of the coaches might have done or not done in their preparation. For Cyril Sicsic, head coach of COB Calais, hosting the CFBB is something he has never done in his coaching career. Although the CFBB do not have a good record on the road, he may have asked Emilie Duvivier for some tips. Duvivier passed through the CFBB at the start of her career. When looking at the final result of the game Calais' game plan was to stop Olivia Epoupa and Assitan Koné from contributing offensively. The pair just hit one shot from open play and scored 2 points each. Despite a low shooting percentage Calais had the perfect game plan by taking 24 shots more than the CFBB. They connected with 25 shots and were almost perfect from the charity stripe (15-of-17) in the (70-41) victory. For COB Calais Duvivier top scored with 18 points while for the CFBB Valériane Ayayi led the way with 12 points. For Roche Vendée the preparation was easy: do not allow Perperpignan room for three-point shooting, stop Laina Badiane, Hélena Ciak, Pauline Lo and Clémentine Samson from shooting the ball. Roche Vendée failed in most of their tasks with the exception of keeping Samson scoreless. They actually did better in most of the statistical categories than their hosts except for free throws. 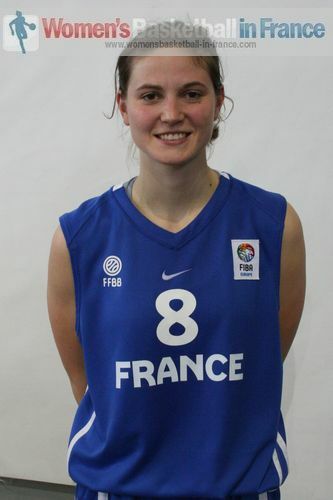 However they must have missed Isabelle Strunc (in picture) in their scouting reports. She had by far her best game of the season with a perfect 3-of-3 from behind the arc in her display with her 15 points, 9 rebounds, 4 assists and 4 steals in the (78-63) victory. Toulouse, the third team sharing the lead in the Ligue féminine 2 regular season standing just had to check if Faëza Bouderra was playing for Voiron. Bouderra is the best passer in L2F and was not available for Voiron which meant that Toulouse could afford to double team Amanda Lassiter. Lassiter went 3-of-14 from the field and scored 10 points while Toulouse were able to win the match (69-59) due to nine second-chance points and 19 points from Agathe Degorces. When it comes to derby matches, scouting the opponents and referring to statistics do not mean much. Armentières hosted Dunkerque Malo. Armentières trailed for the first 34 minutes of the game but ended up winning (77-70). Dunkerque know that Armentières are the most fouled team in the division and first in the free-throw table. Yet in the last two minutes they sent their opponents to the charity stripe on three occasions. Armentières went 5-of-6 and secured the victory. All the teams know they should avoid fouling Aurélie Carmona (19 points and 12 rebounds) and Mia Fisher (20 points, in picture on right) at free-throw time. These two players combined for 9-of-11 in this victory. Reims knew that they had to stop Hillary Klimowicz from Limoges, a task they failed because she scored 22 points. Limoges' plan for the week was to defend the three-point line but they also failed allowing Reims to hit 8-from-19. Iva Grbas led the way with 21 points (8-of-10 from the charity stripe) as Reims move out of the relegation zone for the first time this season. US Laveyron's task against Le Havre was made simpler with the departure of Kayla Smith and the non availability of Melissa Washington. The strength of US Laveyron lies in balanced scoring and that is what they did to beat Le Havre (68-55). They had four players in double figures. 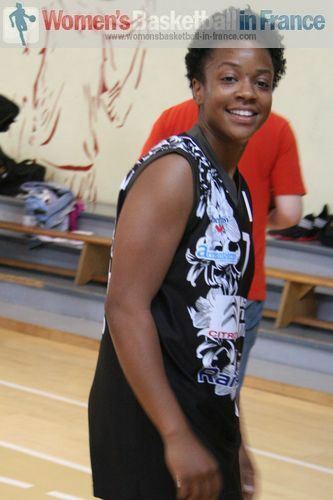 For Le Havre Ida Preetzmann and Bintou Dieme both scored 18 points with a combined 13-of-24 from the floor. However the weakness in this team is other offensive options. When the statistics for the top two scorers are removed the rest of the team went 6-of-41. Léon Trégor and Illkirch-Graffenstaden are very similar in the fact that their roster is very thin. Léon Trégor's big problem this season has been unforced turnovers and they did not improve in this game with 34. However for Léon Trégor playing at home the task became easier with the absence of Amina Njonkou from Illkirch-Graffenstaden. The hosts exploited her absence by winning more rebounds and hitting more shots from beyond the arc to seal the victory (66-60).